Rarely in the atomic age have hopes been raised as high as they are now for genuine progress toward disarmament. The new receptivity reflected in the policy declarations of many governments was sparked by a wave of private initiatives led by former senior policy leaders in many countries. This book examines practical steps for achieving progress toward disarmament, realistically assessing both challenges and opportunities associated with achieving a world without nuclear weapons. The book places the current debate over nuclear abolition in the context of urgent non-proliferation priorities and the need to prevent nuclear weapons from falling into the hands of extremist regimes and terrorists. It examines the reasons why more than two dozen states have given up nuclear programs over the years and distils lessons from the end of the cold war to offer policy recommendations for moving toward lessened global reliance on nuclear weapons. Also included are in-depth analyses of proliferation challenges and disarmament opportunities in North Korea and Iran. 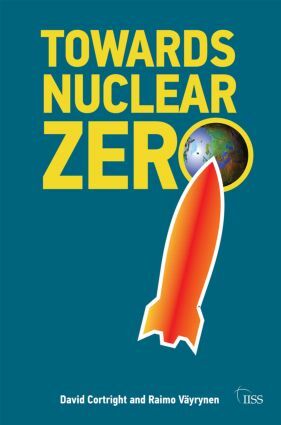 The book concludes with a detailed roadmap for moving progressively toward global nuclear zero. It proposes a new international security regime based on shared missile defences, nonweaponized deterrence and greater efforts to enhance transnational cooperation.